Global environmental, industrial and emergency response provider NRC, announces the introduction of industrial and associated waste management services in Kurdistan. Since 2013, NRC has been the leading provider of oil spill related emergency response, standby, training and consultancy services in Kurdistan. Client requests for industrial and waste services caused NRC to mobilize the necessary equipment from its UK operational base. Local personnel have undergone extensive industrial services training and are now able to deliver the services to existing and potential new clients. The new services include hazardous waste management, high pressure water jetting, vacuum transfer and waste water treatment. 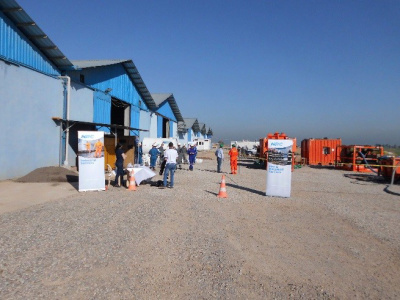 NRC held a demonstration day at its Erbil base on April 5th where the team showcased the new equipment and capabilities. Nine international oil companies attended the demo-day as well as members of the Ministry of Natural Resources. About NRC NRC is a global provider of diversified environmental, industrial, and emergency response solutions. Headquartered in Great River, New York, NRC maintains offices throughout the U.S., Europe, the Middle East, the Caspian Region and the Far East.